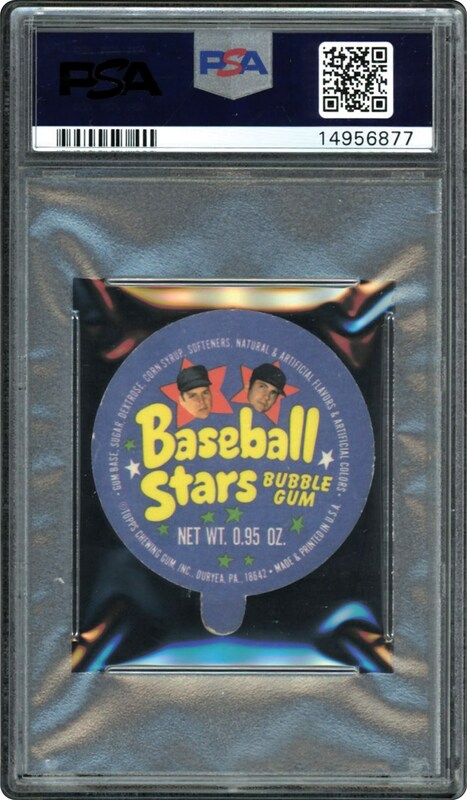 Topps Candy Lids were the top of a product called "Baseball Stars Bubble Gum". The lids carry a color photo of a star from the early 70's with a ribbon containing the players name, position and team. 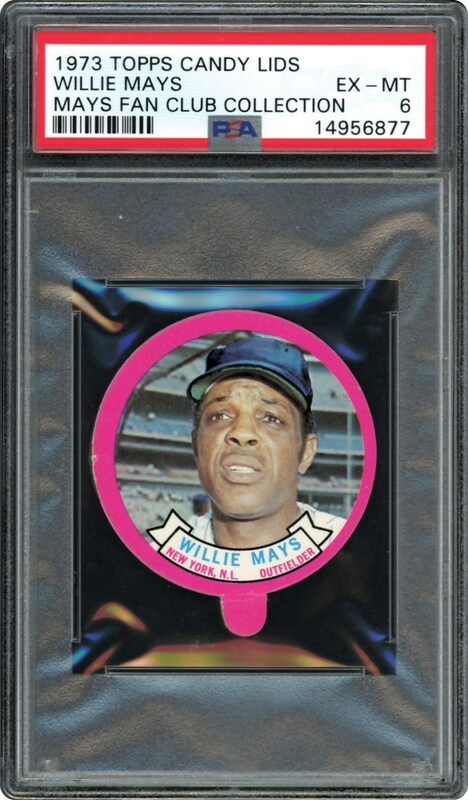 Offered here is Willie Mays in a low pop PSA 6 EX-MT holder. None grading higher!! !